There are all sorts of health benefits to having a pet. Pet ownership can significantly reduce stress levels, leading to lower blood pressure. An NIH study found that after a heart attack, dog owners have higher one-year survival rates than non-pet owners. Dog owners who walk their pets are more physically active and are less likely to be obese. The CDC notes that owning a pet can decrease cholesterol levels and triglycerides. Science (and plenty of anecdotal evidence!) has proven that having a pet can make you a happier, healthier person. But what if you’re one of the 5-10% of Americans who is allergic to cats or dogs? Should you resign yourself to a life without your own Fido or feline friend? You may not have to. FastMed answers some of your most pressing questions about pet allergies, so you can make educated decisions about pet ownership. There are many types of allergies out there, so we’d recommend an allergy test before you give up on pets. You’ll most likely have a skin test. The doctor will put several different allergens on your skin to see which cause a reaction (redness and swelling). The symptoms for allergies are fairly similar regardless of the allergen: sneezing; an itchy, runny, stuffy nose; watery, red, or itchy eyes; wheezing; and hives can all be present. If you do suffer from a pet allergy, you can use over-the-counter nasal sprays, or ask your doctor about nasal steroids. Decongestants will also help with a stuffy nose, and antihistamines reduce several symptoms, including runny noses; sneezing; and itchy nose, eyes, and throat. You may want to consider immunotherapy. You’ll get a series of allergy shots containing tiny amounts of pet dander so that, over time, your body will become immune to these allergens. Current pet owners can reduce the presence of dander (and hopefully, their symptoms) by vacuuming the house and furniture thoroughly at least once a week. Give your pet weekly baths, and have someone else brush your pet outdoors regularly. 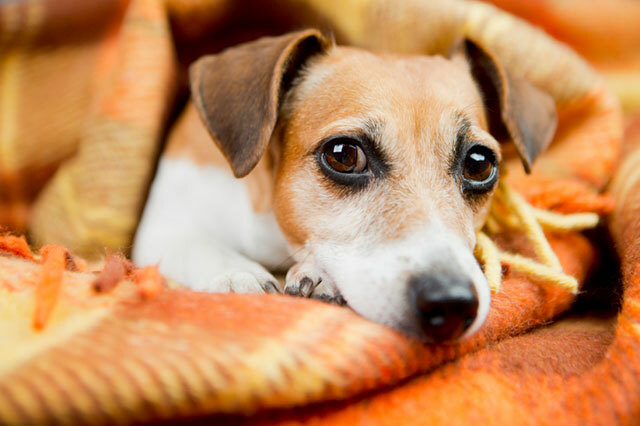 Keep the pet out of your bedroom, and buy HEPA air filters for your home and vacuum. After you pet your animals, wash your hands with soap and water, and don’t let a dog lick you, as allergens can be transmitted through saliva. Although some breeds, like Portuguese water dogs or Bengal cats, are touted as hypoallergenic, all dogs and cats produce allergens, and studies have shown that homes with hypoallergenic dogs have equally high levels of dog allergens as homes with nonhypoallergenic dogs. Even hairless or short-haired pets give off allergens, because the irritating protein is found in saliva, blood, urine, sweat, and other bodily fluids. A pet who sheds less may spread less dander around your home, but there is no such thing as a 100% hypoallergenic cat or dog. A dog or cat can be an excellent companion, and makes a great addition to your home and heart. But if you’re feeling miserable because of pet allergies, man’s best friend can suddenly seem like your worst enemy. Don’t just give up on pet ownership and all the health benefits that come with it! Come see us at FastMed Urgent Care, and we’ll help you manage your symptoms so you feel better fast.